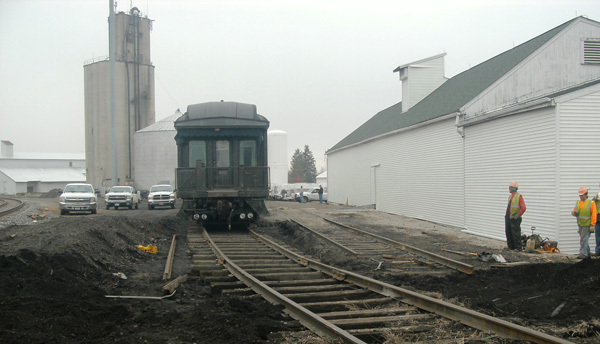 In 2012 the Fritz-Rumer-Cooke Company built a short section of track to hold three pieces of Carl Nourse's rail collection. The following photos were taken by Ben Swope, the project supervising engineer for F-R-C. 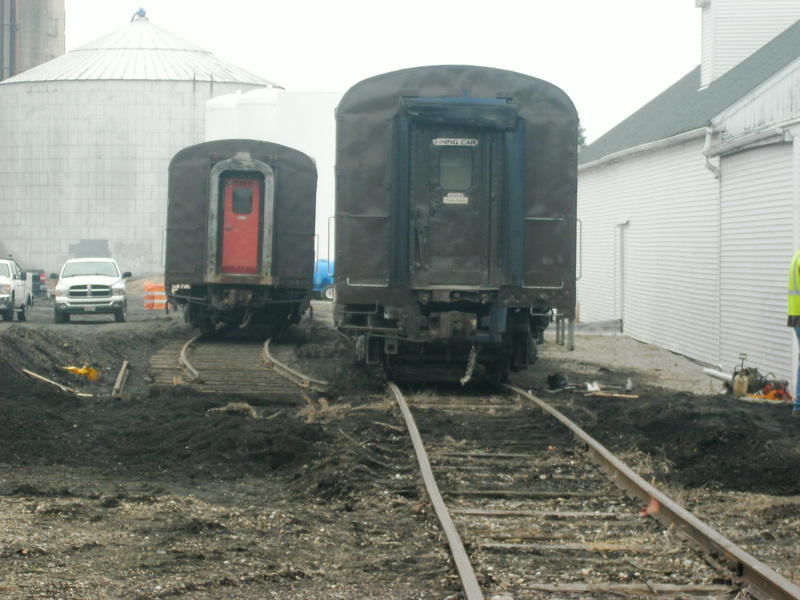 They were taken the day the cars were moved to the new isolated storage track. Photo 2 - The crew is making the first cut and throw. 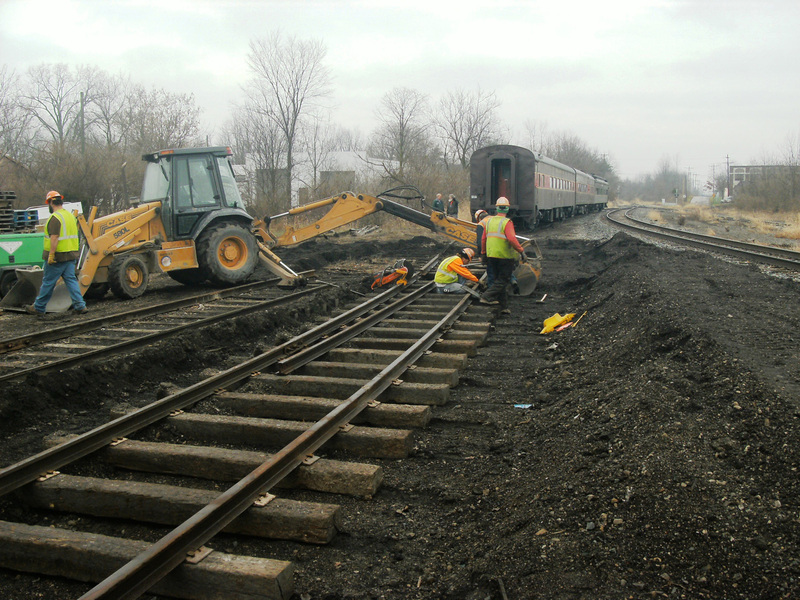 The men are connecting the old track to what will become the new isolated storage track. On the far side of the three cars can be seen the switch that connects to CSX. Pre-1968 this was New York Central - Big Four track. 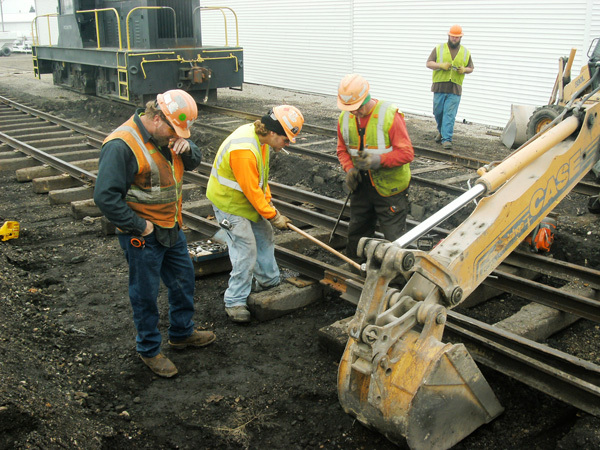 Photo 3 – The F-R-C crew is putting the finishing touches on the first temporary track connection. 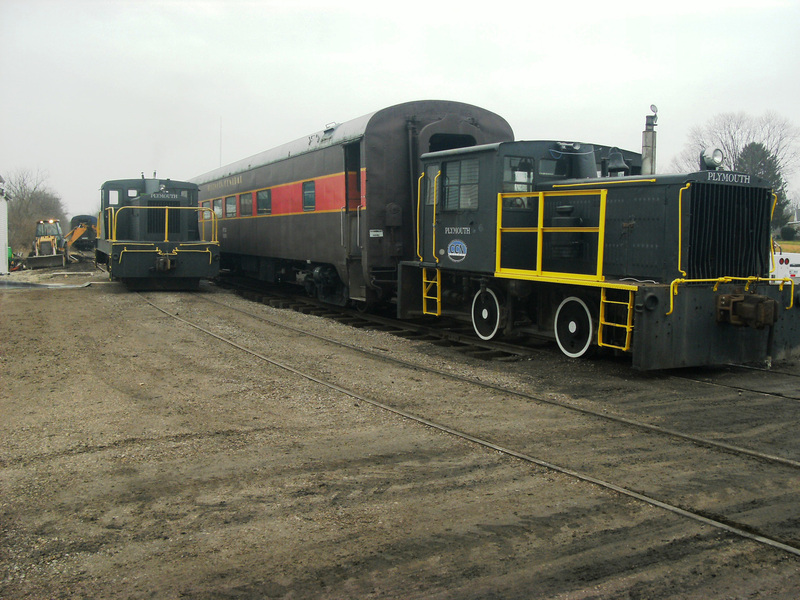 The double truck Plymouth locomotive is in the background. 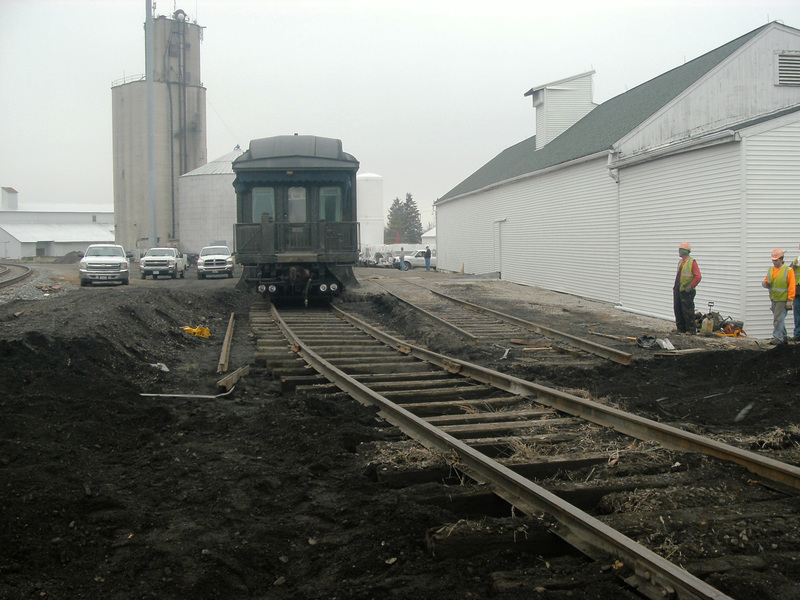 Photo 5 - The four-wheel Plymouth locomotive is pulling the first car onto the new storage track. 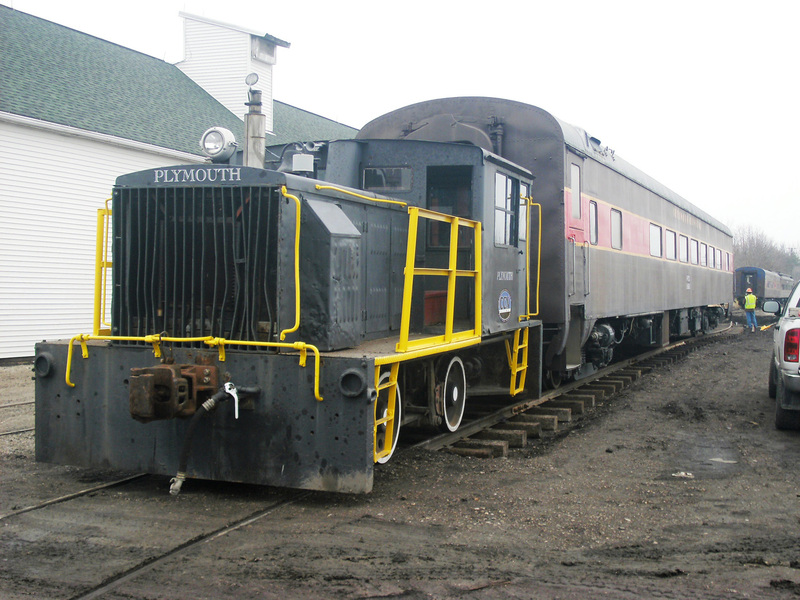 Photo 6 - Another view of the four-wheel Plymouth locomotive coupled to the first passenger car. 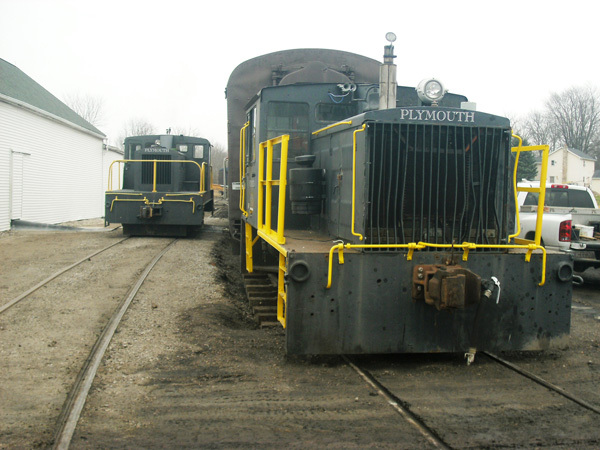 Photo 7 - Both Plymouth locomotives were used to sort out the cars that day. Photo 4 - After the first car was set over to the storage track (on the left), the track was thrown back and the dining car was brought forward by the double truck Plymouth. The next step is to do another throw and mate the private business car with the coach now on the new storage track. Photo 8 - The job is almost complete. The business car has been mated with the coach. 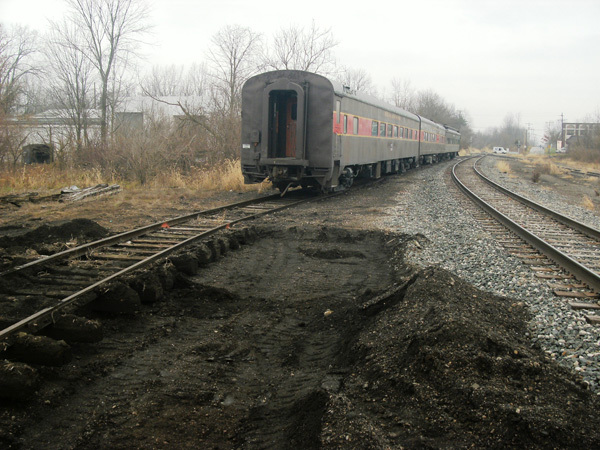 The next step is to do the final throw to reconnect to the track on the right leaving the four-wheel Plymouth, coach and business car on the new storage track. The track on the far left is the CSX running track.